Using tobacco can harm your mouth, including your teeth and gums, in a number of ways. There is NO safe form of tobacco—using it produces many problems and risk factors, from tooth discoloration and gum disease to throat, lung, and oral cancer, and, ultimately, even death. It’s important to understand what happens to your mouth when you use any form of tobacco, and to discuss those effects—and how to quit—with your dentist at Queen’s Park Dental or your physician. Smoking reduces blood flow and the supply of vital nutrients to your gums, including vitamin C. Without the proper nutrients, you can develop gum disease, bone loss, and even tooth loss. This is because smoking triggers the accumulation of bacteria in plaque. Smoking also reduces the amount of saliva that flows through your mouth. Saliva is important for cleaning your mouth and preventing tooth decay. In addition, when you smoke, the temperature in your mouth increases and the heat kills important cells in your mouth. You also can see the effects of tobacco use. Nicotine and tar, the major ingredients of cigarettes, discolor your teeth—yellow and brown stains will appear and the sticky tar deposits will adhere to crevices. The roof of your mouth will become inflamed and turn red. You also will lose a lot of your sense of taste, and the smell of your breath may become offensive. Oral cancer can develop at any time. It’s important to know what to look for and to tell Dr Darcy Murphy or Dr Salima Shivji and physician right away if you have any concerns. If you experience any sign of irritation, like tenderness, burning, or a sore that will not heal, tell your us at Dr Murphy or Shivji at Queen’s Park Dental and your physician. Also, tell us or physician if you have pain, tenderness, or numbness anywhere in your mouth or lips. The development of a lump or a wrinkled or bumpy patch inside your mouth also can be a sign of oral cancer. In addition, if the tissues in your mouth change color to gray, red, or white, make an appointment to see us at Queen’s Park Dental or your physician. The most obvious way to stop the effects of smoking and tobacco use on your mouth—and body—is by quitting. Although it can be extremely difficult to quit because the toxins in tobacco products are addictive, there are ways to stop using tobacco. 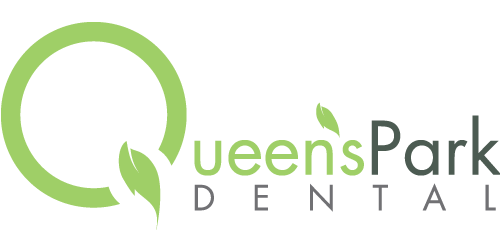 Talk with us at Queen’s Park Dental and your physician about treatment plans. Once you have made the steps toward quitting, it is important to improve your dental hygiene with regular brushing and flossing. It is advised for smokers to get a professional cleaning (scaling and polishing) for the removal of stains. But without quitting, the cleaning and stain removal will have only a temporary effect.